Highway Advertising Boards Printing Services is something which reaches the clients while they are outside their home and is highly acclaimed than the broadcast print and Internet advertising. Further, outdoor advertising is focused on marketing to consumers during the time they are waiting in specific commercial locations. 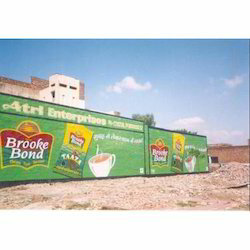 Our organization is well known in the market for providing a broad assortment of Flex Board Printing Service. to our clients. These products are manufactured using quality tested components. With the constant support of the qualified team of professionals, we are engaged in offering an extensive array of Frontlit Flex Board Printing Service in the market. We are rendering these services using highest quality printer with the help of progressive technology. Also, we are offering this array in attractive attributes as per the exact requirements of our customers. - Note : Rates may vary according to quantity, size, and type. Assisted by hard work of our accomplished personnel, we render Flex Board Printing Services. This service is completed employing the advanced techniques. Our service is known in the market for their timely completion and reasonable prices. Being a front runner in the industry, we are involved in providing our customers highly qualitative Flex Board Printing Service. These provided services are offered in agreement with the defined guidelines to preserve our standing in the industry. To add, the employees rendering these services are appointed after stern analysis of their skills and experience. 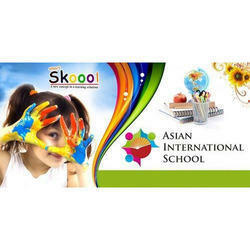 We are a renowned organization intricate in rendering Flex Boards Printing Services to the clients. These services are exclusively provided by a team of adroit employees employing modern methodology and best resources. We design and print as per the diverse requirement of our valuable patrons. We Friends Digital Color Print Shop "Printelligent" a leading printing service firm provided Flex Boards Printing services. Being a noteworthy enterprise of this industry, we are offering a wide spectrum of Flex Board Printing Service.